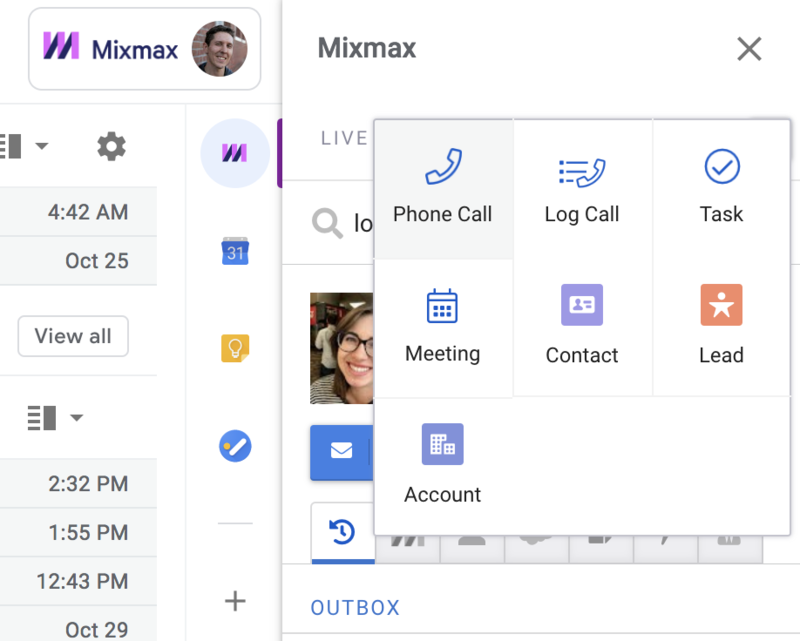 You can place phone calls via Mixmax. Calling is available on the Growth and Enterprise plans. Contact sales to learn more. First, go to your Calling Settings page and generate a phone number. You can specify the area code, and Mixmax will select the rest of the number. You can also choose to generate a phone number from a country other than the United States by selecting the country from the drop-down menu. 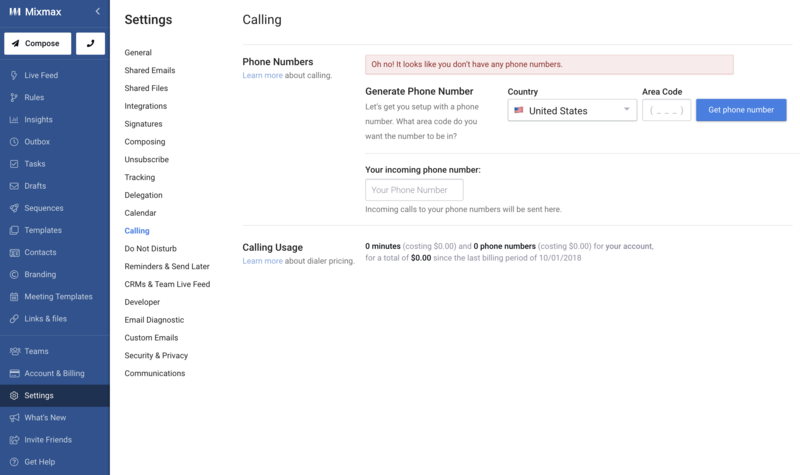 You can specify your incoming phone number on this page as well. If you call someone via Mixmax, and they call you back, the call will be routed to the incoming phone number. 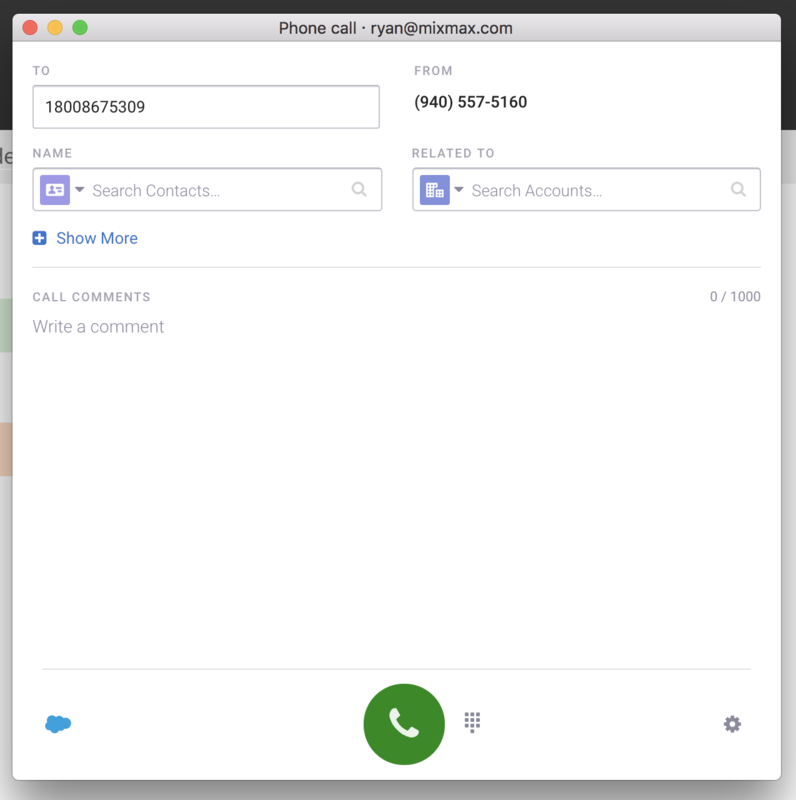 When you place a call via Mixmax, you fill out a form that can sync to Salesforce. The form can include fields such as call disposition and notes. Specify which fields appear in your CRM Settings page. From Gmail, you can place a call from the sidebar. 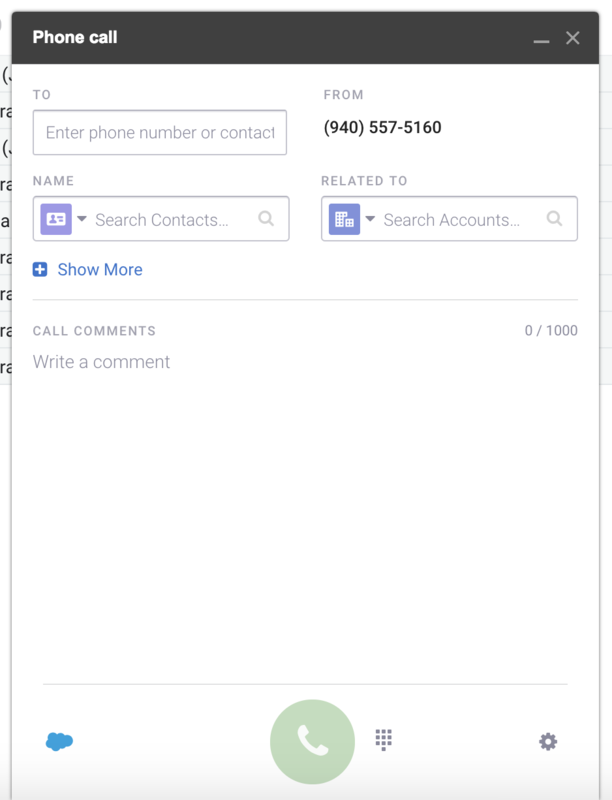 If you're looking at a contact in the sidebar, and their phone number is in your CRM, click the call icon. A call window will open up. 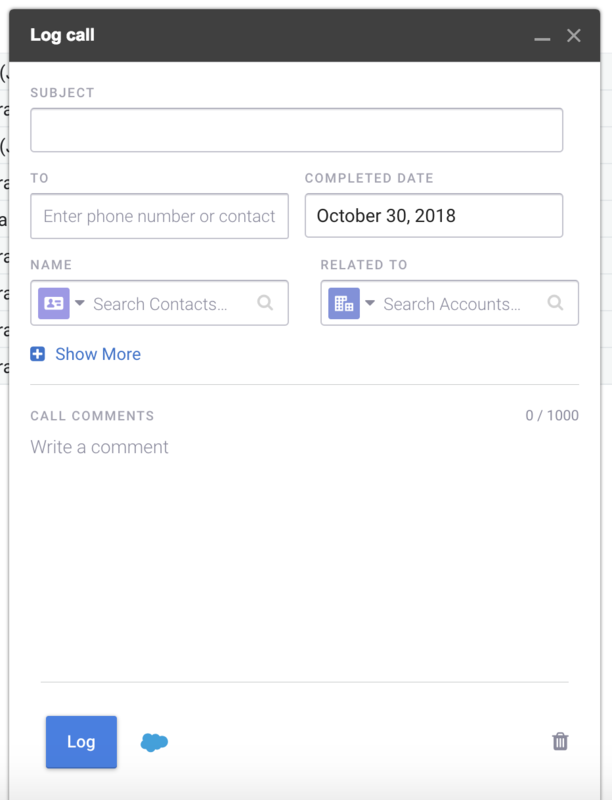 In the To field, you can enter the name of a Salesforce lead or contact — if their phone number is in Salesforce, it will automatically populate with the number. Alternatively, you can also type or paste a phone number into the To field. Fill out the fields, and add call notes, all of which will sync to Salesforce after you end the call. After you hang up, you can continue to edit the form. With the Mixmax Chrome extension installed, any phone number link on any website you visit becomes a number you can call using Mixmax. Just click a phone number link like (844) 387-6962 and a calling window will open, ready for you to place the call. To see your calling charges — based on the number of minutes and number of phone numbers you've used during the current billing period — go to your Calling Settings page. To see a summary of all calling charges for your organization, go to the Billing section of your Account & Billing page. Learn more about pricing here.